A dog training weekend that you'll never forget! 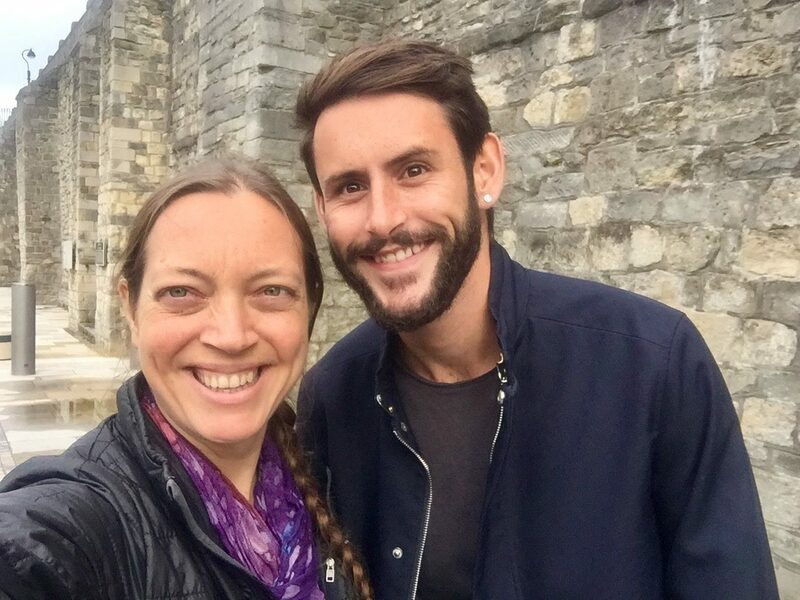 Jordan Shelley from the UK and Grisha Stewart from the US have teamed up to present an entertaining and informative 2-day dog reactivity seminar on their favorite force-free positive training methods. Jordan has taught this workshop many times in the UK, but this will be his first time teaching in the US. Saturday will be mostly inside, without dogs. Sunday will be a practical session outside, with working student dogs (reactive to dogs but not people) and several helper dogs. Saturday is 10 am - 5 pm and Sunday is 9 am - 4 pm. 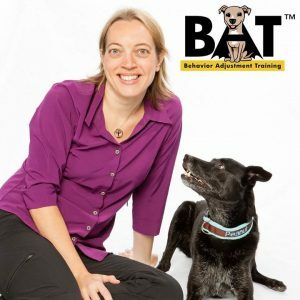 On Saturday, Grisha will deep dive into the socialization technique of Behavior Adjustment Training (BAT), which she developed to help dogs and puppies address aggression, frustration, and fear issues. She will present videos and go over body language, science, and practical tips for leash handling and rehabilitating reactivity using BAT. Bring a 6-15 foot leash (but no dog) for the role playing exercises for leash skills. On Sunday, we go for breadth. UK dog trainer Jordan Shelley will cover a whole range of tools to help you work with your dog and their fear/reactivity/aggression towards other dogs. Watch Jordan work with two reactive dogs and their handlers to demonstrate the knowledge and tools to desensitize the dogs to the presence of other dogs and the environment. There will be a short amount of time spent going through some theory and getting to grips with the basics of dog behavior and body language to complement the Saturday talk, followed by a vast array of training exercises/setups, observation sessions and then the formulation of a bullet pointed behavioral plan for the owners to take forward. Registration is available below! Please register, then refresh this page for details. Mark yourself as Going or Interested in the Facebook event to get updates. Professional dog trainer and author Grisha Stewart has a unique perspective on life with dogs. Her training style focuses on using clear communication and empowerment to teach behavior that improves the quality of life for everyone in the family, including the dog(s). Grisha earned a Master’s in Mathematics from Bryn Mawr College and most of a Master’s in Psychology with an emphasis in animal behavior at Antioch University. Her first career as a theoretical mathematician and college instructor serves her well in dog training and behavior consultations, because she relies heavily on the problem solving, critical thinking, and teaching skills she gained in that field. Since founding Ahimsa Dog Training in 2003, she has found her canine and human students to be much more excited about learning than her college students! 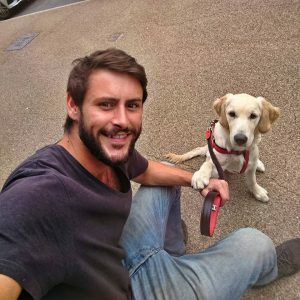 Jordan Shelley is a talented dog trainer based in the UK. He is one of the most famous crossover trainers in the world, who switched from traditional force-based training to positive dog training after a giant backlash against his appearance on BBC's "One Show." A furor followed that appearance with many from the dog behavior and training world up in arms about his use of dominance-based techniques, in particular their use on national television without adequate information about how potentially dangerous they can be. Many people, faced with the ferocity of opinion against them, would have faded into the background as quickly as possible. Jordan, however, decided instead to seek the best advice he could get. He has since earned the respect of the positive dog training community. See below for location, date, and time. Click the venue name for travel details. Registration is both days. If you can only come one day, please see if someone else wants to take that day in your place. DOGS: Only dogs who have prearranged to come will be allowed. Jordan will work with two dogs on Sunday (2 working dogs, with a spare on deck, in case one of the other dogs has trouble). Please let us know if you have a dog that might be suitable. We also need 3-4 helper dogs (dogs who are there to help the other dog safely socialize). If you are an attendee and wish to bring a dog on Sunday (student or helper dog), please contact us with a description of your dog's reactivity or calm personality as a helper dog. All dogs (student & helper) must be comfortable around humans. All attendees will need to register for the seminar, but there is no extra charge to bring a dog if your dog is selected. If you need to bring a legal service dog on Sunday, please understand that we will need to seat you so that the working dogs will not be able to see your dog. No dogs on Saturday, please (service animals only). Exception would if you are traveling from out of town and are bringing a helper dog for Sunday. Registration is per person. All people attending must register individually. We will have a list, there are no tickets. If for some reason we don't have you on the list, you can log in with your mobile device and show your name on this page as proof of purchase. Alternatively if you get an email receipt (sometimes those get lost, especially in gmail), you can show that. Continuing education units for professional dog trainers will be available. If you don't know what this means then don't worry, it doesn't apply to you. 🙂 For CPDT and CBCC, please bring your CCPDT number with you to the seminar. We recommend just adding it to your own contact info in your phone so you always have it! Updates on the seminar will be on this page. Please bookmark this page. You will also see a link to this page under My Account when you log in. To register more than one person, log out and register that other person with their email address, that way they get their own login to the site. If you need to register 5 or more people, please contact us for a 10% discount. If you are already a member or have made a purchase at GrishaStewart.com before, please log in with the user info you created for the best rate. Bonus! Register for this seminar today and you'll also get a FREE MONTH of student membership in Grisha's online Animal Building Blocks Academy, no strings attached (new members only). Membership expires automatically after a month, with no recurring charges unless you login in and sign up for renewal.